Damn it!! Its been quite a while since my last Heavy Prescription post! Well as usual, i am here to make up for all the lost time. And i haven’t been idle when it comes to listening to new stuff. Here are two brilliant bands that i’ve been aching to write about for a few days now. Check them out! Off late, the death/black doom side of metal seems to have enthralled me in its iron grip. A lot of blackened death/doom have as a result snaked their way into my playlist. One such rather recent finding is Aosoth from France. An unholy trio of sorts, the band members are known by stage names, namely : MkM on vocals, BST and INRVI on all the instruments evolved. 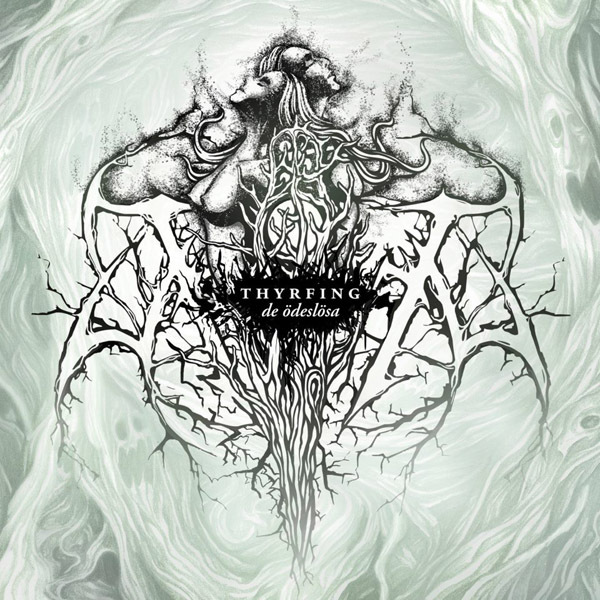 Aosoth consider themselves to be a black metal band, aesthetically, i would agree. 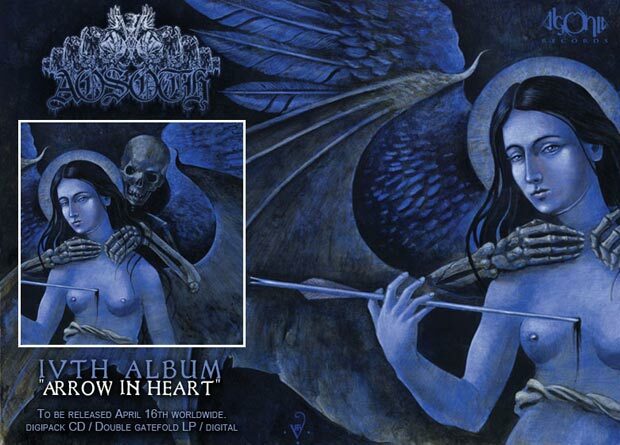 But their new track titled “An Arrow in Heart” have elements of doom and death in it as well. But surely the black metal vibe here predominates over them both. ‘An Arrow in Heart’ comes from their latest album titled ‘IV: Arrow in Heart‘ released via Agonia Records. Initial listens sent chills shivering down my spine. What you have here is one evil acolyte, adorned in the blackest of capes with a purpose that will spur on global destruction. Hate fueled by satanic ideologies percolates out through the track and reaches out to the listener. But it left me with a sour aftertaste of hunger. Curiosity kills (pun intended). As i was possessed to find more about the band, i came across this mammoth of a track. Mere words cannot describe the pure evil that this track (linked below) infiltrates you with. Viking metal, i believe has lost most of its sheen. For the genre has grown to be incredibly self- limiting over the years. It has always been the same old tunes getting rehashed and recycled over the years. The instant catchiness that earmarks most of the songs from the genre, seem to have descended into a state of familiar catchiness. This makes quick wearing out, in fact if you exclude Bathory and the genre’s early progenitors, the genre was never in it for its staying power. But oh my! Thyrfing seems to have proved me wrong here, yet again. These Swedish folks seem to have crafted another song which combines catchiness with incredible staying power. Yes the riffs might indeed seem a tad derivative, but oh boy don’t they mix things up! Combining the viking call for valor and ethereal melody these guys have indeed created a piece of ineffable beauty. Oh! and not to mention those heavenly choir section. The song titled ‘Veners Forfall‘ from the album ‘De Odeslosa‘ released via NoiseArt Records.